This is an attitude that I pray many of us women, Girl Bosses, Boss Babes, Mompreneurs, will commit to adopting. Seeing other women that are passionate about thriving in their prospective fields and niches is inspiring to me personally. And, it should really be inspiring to other women to keep going forward in their journeys. 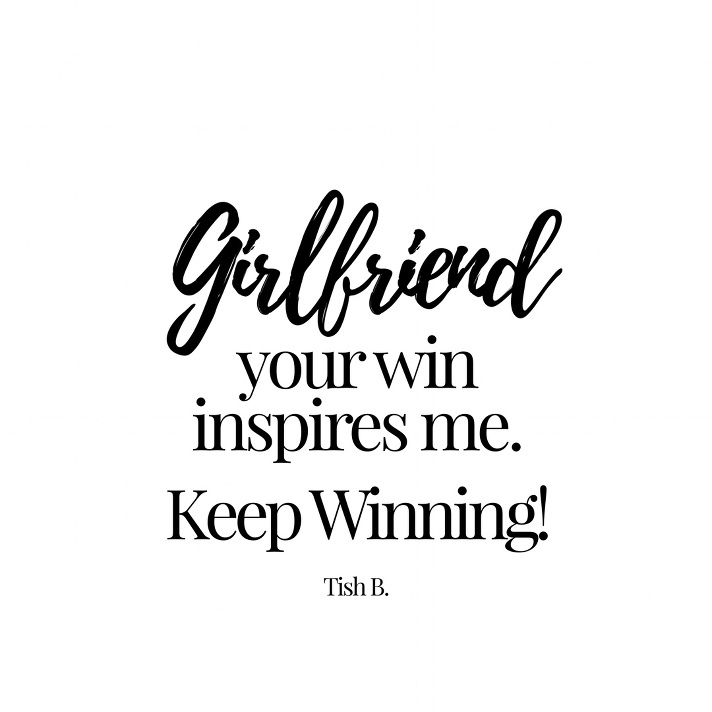 One thing I have to point out is that when jealousy rises within you to question why another “Girlfriend” seems to be moving quickly and always has the opportunity to “Win”, avoid the envious thought immediately. We don’t know the journey of tedious work, blood, sweat and tears to get to their exposure and accomplishments. If you are planning for something big in your life and feel like you keep hitting a brick wall, don’t give up. Sow excitement and encouragement into someone who you admire or who is doing big things. If you sow, excitement and joy, it will be returned to you.